This is the first bar of facial soap I’ve used since my mom bought me the ol’ amber slab of Neutrogena in middle school. No joke. It has been a while! 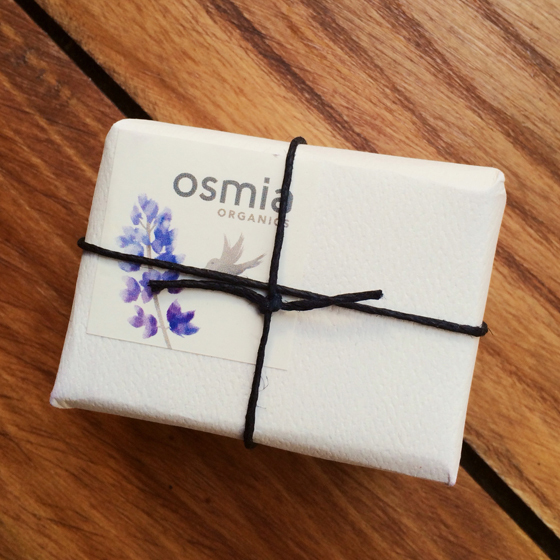 Osmia’s facial soap ($22 for 2.25 oz) is pretty much the creme de la creme – one of those can’t-go-wrong, universally-loved products (one of Osmia’s MANY!). This bar will be a staple on my bathroom shelf. I’ve been using this facial soap for a month now. For me, it’s 100% gentle enough for everyday use, and the ingredient list also carries me through days where I’m broken out, oily or just a little worse for wear: black clay helps draw out impurities. Avocado, organic almond oil and other gentle ingredients nourish the skin. There’s even mineral-rich dead sea mud in this baby! I find it to be a moisturizing (and amazing-smelling) bar. Bonus points = it’s beautiful, don’t ya think? I’d wear this textured beauty on a rope around my neck. Feeling oily? Battling acne? This is the mask ($50 for 1.4 oz) you put on when you’re done messin’ around. In fact, Osmia cautions that you should only “use once a week, twice at the most.” But that’s all you need, because this mask packs a major punch. Add water to turn this powder into a deep brown paste and apply on your face and neck. (If you spring for this product, it’ll ship with a neat little ceramic dish and stirring spatula!) I love that this mask smells like rich cacao while applying. Osmia recommends keeping it on for 15-20 minutes, but I usually only wear it for about 10. At that point, my skin feels a little itchy and warm and it’s time to wash it off. This mask doesn’t irritate my skin, but like I said, it’s stronger than any other mask I’ve used. The best part = the results. This mask leaves skin thoroughly exfoliated and absolutely glowing. I battle hormonal acne one week out of every month and I’ve been reaching for this mask repeatedly. It keeps oiliness at bay for a while and leaves skin feeling completely cleansed, inside and out. I mean, peep those ingredients: manuka honey and clay were two of the ingredients I featured in my recent post on battling breakouts naturally. Bamboo charcoal also draws out toxins, and walnut shells and olive leaf powder work as exfoliants (be gentle!). If you have sensitive skin, I’d recommend giving this mask the ol’ inside-of-the-wrist test before applying to your whole face. But if you’re like me and your skin needs an aggressive SLAP IN THE FACE (literallyl) every now and then, try this one out! Jam in a jar. 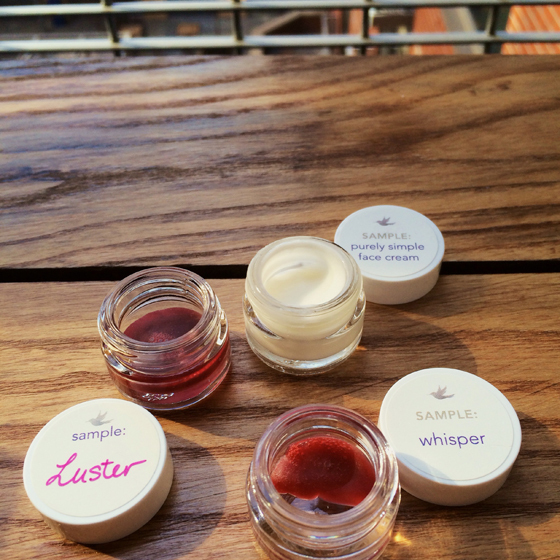 These lip glosses ($18 for 0.3 oz) are sweet and and have beautiful berry colors…like jam. They’re relatively sheer but still carry a pretty, red-with-a-bit-of-pink pigment (Luster is a bit bolder than Whisper). All-natural colorants for the win!…beet root and alkanet, the same punch-colored powerhouse behind my beloved Fat and the Moon Lip & Cheek Stain. Their ingredient list keeps lips moisturized (vitamin E…and Osmia actually calls out pomegranate as a key moisturizer in this gloss), which means you definitely do not need to apply a balm beforehand. Love that! Especially in the morning, when it’s a miracle that I don’t apply black Sharpie to my face. I’m just reaching for anything, usually in the dark, that can differentiate me from the undead. These glosses are NOT sticky…which is such a welcome respite from all of the glosses that gunk up your hair, your hands, inside of your purse, etc. Oh, and it’s scented with vanilla bourbon c02. Just save it for your lips, don’t dump this pretty product in your cocktail glass. Resist the amazing smells. GET A HOLD OF YOURSELF. 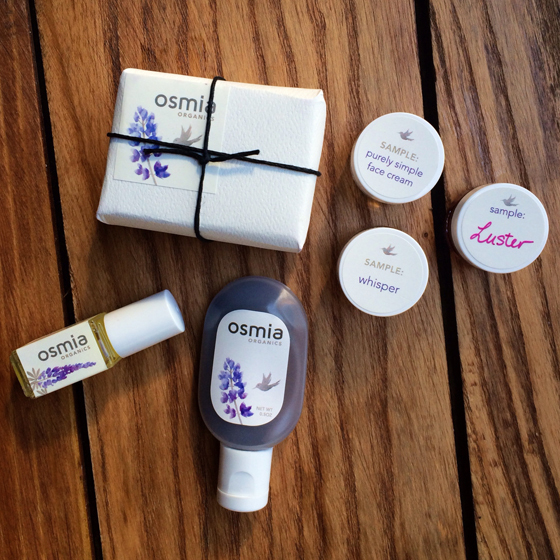 **Osmia Organics’ full size products and samples featured in this post were generously sent to me for review by the product manufacturer. Check out our policy on product reviews. What’s your favorite Osmia Organics product? If you’re a newbie like me, which would you try? I have yet to try any Osmia products, but I think both the bar and the mask just went straight to my wishlist thanks to this review. Clay and manuka honey? I am sold! That Purely Simple face cream also sounds interesting. I am trying to find a good moisturizer that doesn’t contain coconut oil and the options are limited so I will definitely try this one out! It’s all about the ingredients and Osmia definitely has that down! You know, coconut oil doesn’t work well with my face, either…I didn’t immediately realize that Osmia’s face cream omits it. Great observation – all the more reason for me to buy the full size! I love the idea of that cleansing bar! Going right onto my wishlist..
I’m still determined to find the ‘one’ Osmia keeper for me though. Thank you, Mayah! I remember reading your review of the Osmia Detox Mask in your clay face-off post (that was a great one). Loved your idea of adding honey to it to cool it down a bit. Have you tried keeping it on for a shorter period of time? I rinse mine off as soon as I start feeling itchy and irritated and that has worked for me – I think otherwise I might have an adverse or blotchy reaction. Whisper would definitely find its place in my makeup stash. Gorgeous color! They look so pretty in their containers. Be warned that they are very sheer, though, so it won’t overload you with color! I haven’t found anything I don’t like from Osmia! The soaps are such a treat, facial masks are divine, and the spot treatment is beyond amazing. I think Sarah is a true organic beauty wizard! 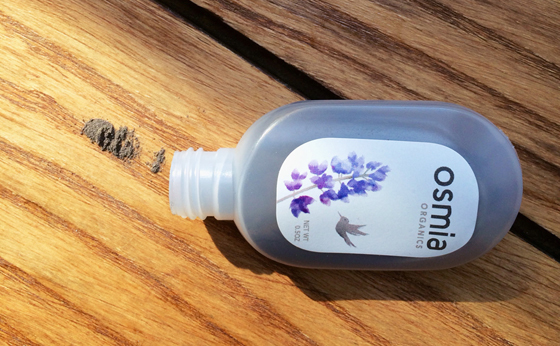 Seriously…Osmia just seems to work with my chemistry! Everything I’ve tried has been very helpful with clearing my skin. I’m nearly out of spot treatment and the face soap will be a perpetual re-purchase. They’ve got a permanent spot in my bathroom cabinet. I’ll need to borrow some soap recommendations from your blog, because now I’m hooked! I love reading your posts girls….Dorothy finding Oz! How do you come up with that!!!?? 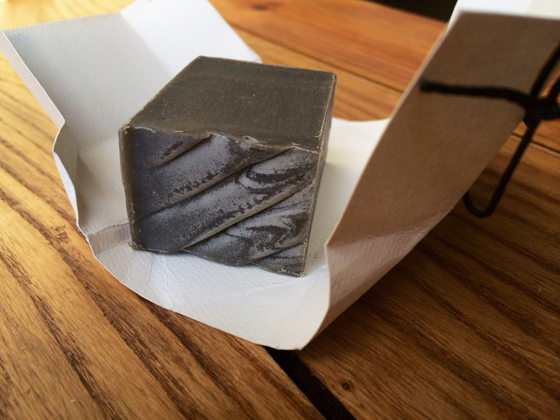 The black clay soap sounds like it would be perfect for my skin…ouch for the price tag though! You are the greatest, Amber! Our brains are a little weird and it always seems to come out in our writing…glad you are on our wavelength! $22 IS pretty steep for a cleanser, but it lasts a long time as long as you’re using a soap saver. I’d be interested to compare this bar to other more affordable charcoal face bars, let me know if you do! I haven’t tried any of Osmia’s famous soaps (apart from the face cleanser), but have read rave reviews nearly EVERYWHERE. That might be a good place to start! That is, if you can choose from among all those incredible ingredients/colors…yowza. I’m so obsessed with the black clay soap! I’m almost done mine so I’ll have to place a new order asap! I have never used these products before, but I feel like I have after reading your blog. It was incredibly descriptive. I will definitely look for posts from you in the future.